Last June, three friends, including a man already under investigation for falling asleep while driving a lorry and causing an accident, stole a lorry in broad daylight. The next day, one of the man's accomplices in the vehicle theft allegedly attempted to escape from police custody and purportedly discharged three rounds from a .38-calibre Taurus revolver at a policeman in a private room at Khoo Teck Puat Hospital. 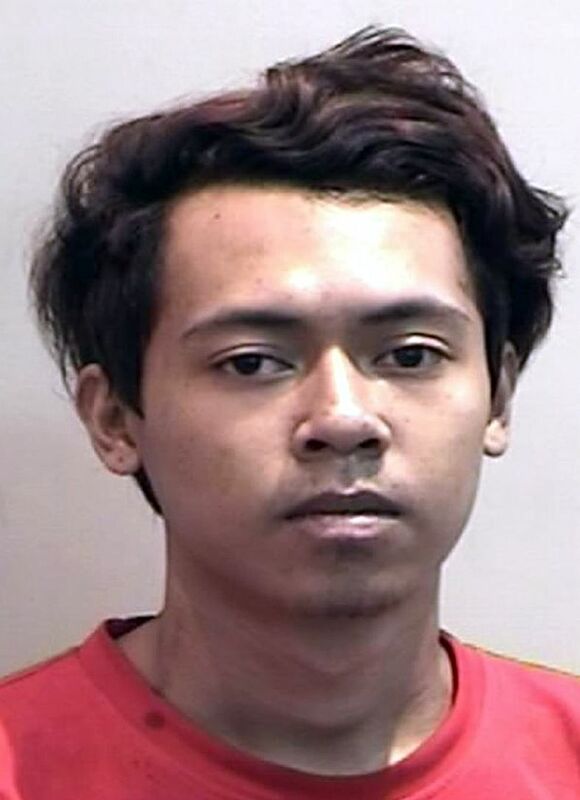 Last Friday, Muhammad Taufiq Jasmi - who fell asleep while driving - was jailed for five months and fined $800 for a series of traffic-related offences. He will also be disqualified from driving for 18 months after his release from jail. He pleaded guilty to four charges: driving without due care and attention, driving under disqualification, theft of a vehicle and theft. A district court heard that Taufiq, 24, was driving his employer's lorry along Admiralty Road West at about 8am on May 31 when he dozed off. The lorry mounted a kerb and collided into a lamp post. The lamp post uprooted and the lorry overturned. Taufiq had been disqualified from driving at the time. For driving without due care and attention, Taufiq could have been jailed for six months and fined $1,000. He could have been jailed for three years and fined $10,000 for driving under disqualification. For stealing the lorry, he could have been jailed for seven years and fined. While under investigation for the traffic accident, Taufiq stole a lorry on June 19 with two friends. Taufiq was under investigation for falling asleep while driving a lorry when he stole another lorry. At about 2.30pm, the trio saw a lorry parked with its keys in the ignition at the loading bay of Block 477, Sembawang Drive. The driver of the vehicle had left it there while he went to deliver furniture. Taufiq and his friends, Muhammad Iskandar Sa'at and Nurulhuda Ismail, decided to steal the lorry, which was later abandoned in Woodlands Industrial Park after Taufiq stole a CashCard left in its in-vehicle unit. Iskandar, 23, had purportedly discharged the three rounds during a struggle in the hospital room. He had allegedly also hit the police officer repeatedly with a T-baton and a metal pole used for securing an intravenous drip. Iskandar was charged in June under the Arms Offences Act and faces the mandatory death penalty if convicted.